A red oak near our house needed to be removed. I'm using the bigger logs to make a set of chairs. 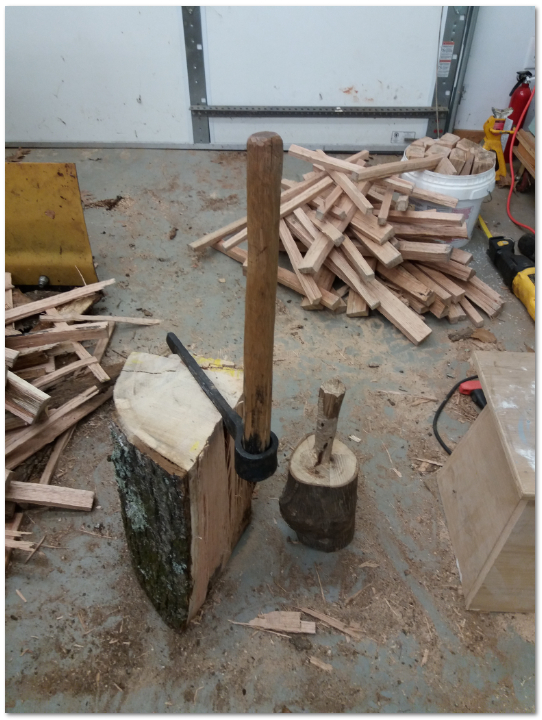 This is the first post in a slowly evolving series as I convert a green log into useful furniture. None of the tree went to waste. The smaller logs were split into enough firewood to heat our house for two years. The small branches were piled up in the woods to provide cover for wildlife. 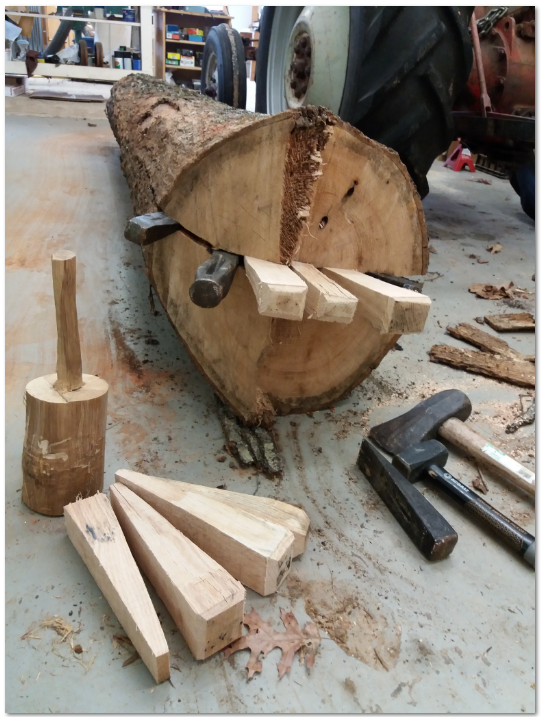 The whole process begins with moving the log into the shop. This beast was 8 feet long and over 20" in diameter, so it was hard to move. I dragged it with the tractor and a chain until is was most of the way into the shop and then pushed it with the tractor's back blade. I could have sawed the log into chair parts, but riven wood is naturally stronger. The only problem is that it takes a bunch of wedges. Metal wedges driven with a maul are the only way to get the split started, then wooden wedges driven with a hickory cudgel finish the job. 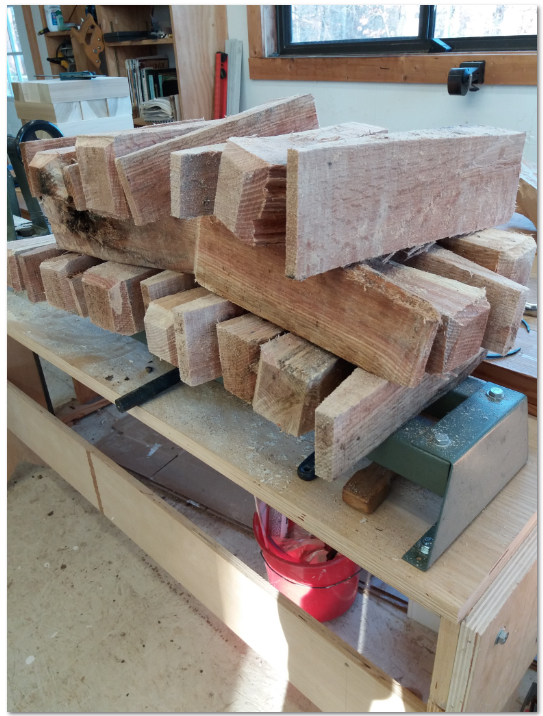 After the initial splitting, I split each half again to make quarters, then used an electric chainsaw to cut short lengths for the front legs and longer pieces for the back legs of the chairs. Some of the pieces are split into rungs and seat rails with a froe. This froe is an antique that my mother found at an auction. You drive the steel blade into the end grain with a cudgel and use the handle as a lever to twist it and split the wood with the grain. Back rails are split from flat planks. The pieces can be split quite thin, but only if the split is made in the center of the wood's thickness. If the split begins to run off toward one side it will suddenly veer off and make one piece too thin. 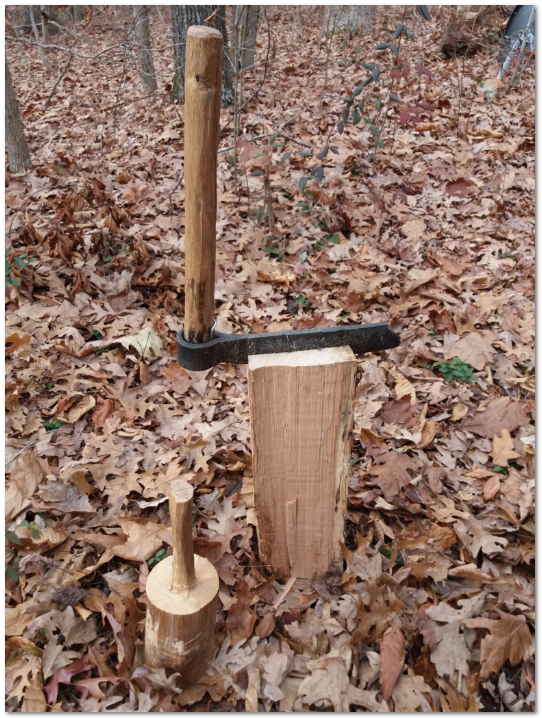 With practice, it is possible to steer the split by forcing the wood on the thicker side to bend. These chair parts are all stacked up in my shop waiting for the next steps. Some of them will be turned on the lathe and others will be shaved with a drawknife. There is a lot more work to do, so stay tuned for updates. Cor blimey, this is fascinating. I love wood (do a bit of carving) but this is woodwork on a grand scale! You want grand scale, dig back and look at his giant jenga game set. It was pretty cool. I got it! And the lemongrass beer post as well that was linked at the bottom! You might like this post. It is a review of our ESB and some pictures of a pair of priests blessing the brewery just before opening day. Blessing a brewery would have never crossed my mind, but it is hard to argue with the results. It has been a very good year for us. I shall have me a look! goodness me, you are right. It is very impressive, I do like a chewy bitter! Congratulations This post has been upvoted by SteemMakers. We are a community-based project that aims to support makers and DIYers on the blockchain in every way possible. Join our Discord Channel to connect with us and nominate your own or somebody else's posts in our review channel. Help us to reward you for making it ! Join our voting trail or delegate steem power to the community account. 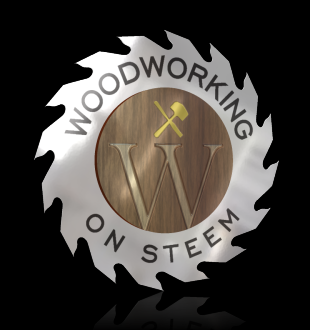 Your post is also presented on the community website www.steemmakers.com where you can find other selected content. If you like our work, please consider upvoting this comment to support the growth of our community. Thank you. Congratulations! This post has been upvoted from the communal account, @minnowsupport, by professorbromide from the Minnow Support Project. It's a witness project run by aggroed, ausbitbank, teamsteem, theprophet0, someguy123, neoxian, followbtcnews, and netuoso. The goal is to help Steemit grow by supporting Minnows. Please find us at the Peace, Abundance, and Liberty Network (PALnet) Discord Channel. It's a completely public and open space to all members of the Steemit community who voluntarily choose to be there. Good to see people still building the old ways..... I have recently been forced due to power tools being inaccessible to me at the moment.. Looking forward to seeing the chair. What kind of chair are you contemplating, just a dining room chair or something more formal? I made a pair of these just after I moved to Virginia. The back legs are very long and are straight. My current design is derived from this one. The back legs are a bit shorter, they have a bend in them, and there are only three back rails. 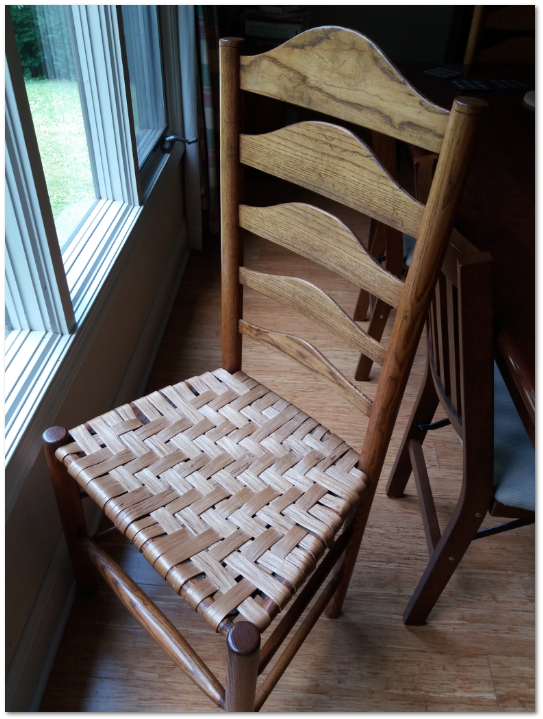 I'm not sure if I will do hickory bark seats again or Shaker tape this time. The hickory bark is a miraculous material to work with, but harvesting it is a lot of work. Someday I will try my hand at making a Windsor chair. The wood for the seats is waiting in my shop already. That is a cool looking chair. I figured it was some sort of bark for the seat, but that looks like it would take a lot of long pieces, we have a lot of paper birch up here, but I am not sure you could get strips long enough for a chair. Hickory bark is thick and very tough. When it is wet you would think it is leather, but when it dries it is hard like wood. My daddy was a wood worker craftsman also. Can’t wait to see the progress that comes with future posts. @mhm-philippines left a reply that shows up on steemd, but not steemit. I've never seen that happen before. Thanks for the comment, though.